Does National Framework replace the Coughlan case in Continuing Care? Does the National Framework replace the Coughlan case in Continuing Care? Care to be Different > Articles > NHS Continuing Healthcare > Does the National Framework replace the Coughlan case in Continuing Care? Should you pay care fees if Continuing Healthcare is removed? Who can provide support during a care funding battle? 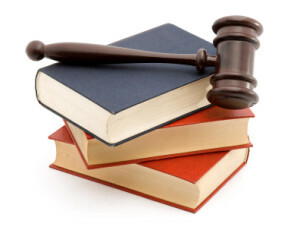 Are you confused about the Coughlan case? Have you been told the Coughlan case no longer applies? The Coughlan case, brought to the Court of Appeal by Pamela Coughlan in 1999, was a landmark case in NHS Continuing Healthcare. It followed thousands of complaints to the Ombudsman about the postcode lottery of funding for full time care, and it led to a major change in the way Continuing Care was assessed. Many people today would argue that little has actually changed, and the system is still a mess. However, it’s important to understand where the Coughlan case fits in all this – because the information provided by Continuing Healthcare assessors is often confusing or misleading. How does the National Framework affect the Coughlan case? Pamela Coughlan won her case for Continuing Healthcare funding and, in 2007, a National Framework for NHS Continuing Healthcare and NHS-funded Nursing Care was drafted. It was the Coughlan case – and the Grogan case – that helped inform this Framework, and the Coughlan case remains just as relevant today as it always was. And even though the Framework was revised in 2012, the Coughlan case remains just as relevant. However, it seems that families are increasingly (and wrongly) being told the opposite by health and social care funding assessors. Assessors may try to persuade you that the Coughlan case was ‘replaced’ or ‘superseded’ in 2007 by the National Framework, or even that the National Framework ‘set a new precedent’. None of this is true, and it simply highlights a lack of knowledge on the part of assessors. The Framework has never replaced the rulings in the Coughlan case – or the Grogan case for that matter. Every NHS Continuing Healthcare assessment must be ‘Coughlan compliant’. 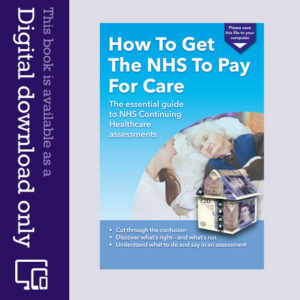 It’s also important to keep in mind that the National Framework does not override the law; the law still says that, in the UK, healthcare and nursing care are free of charge. Do stable needs count in Continuing Healthcare? Another aspect of the Coughlan case that seems to cause confusion amongst assessors – or perhaps gives assessors another empty excuse for avoiding funding – is the subject of people with chronic, yet stable, needs. This issue was also raised in the Coughlan case. Chronic yet stable needs could, for example, be those that occur during the course of a progressive and degenerative disease, as opposed to an acute condition that needs immediate and urgent medical attention. Thousands of people are told to pay for their nursing care just because their needs are ‘stable’. It is clear from the Coughlan case, though, that the NHS should indeed address chronic yet stable needs as part of the Continuing Healthcare assessment process. The NHS should not simply assume that because a need is stable it is automatically the responsibility of the local authority. Read more about the Coughlan Case. I am going through precisely this at the moment. Fortunately I have a legal adviser involved with this. I feel I could not do this without his services. Attended a Continuing Healthcare meeting today and surprise surprise we were turned down, even though his scores were higher than in the Coghlan case. My legal adviser is busy preparing an appeal. I guess it is going to be a long haul. I would like to speak to bewildered as the same situation happened to me. I wonder if it is the same social worker and LA. There was serious corruption between PCT/CCG, LA and nursing home. Louise and Keith – thanks for your comment. 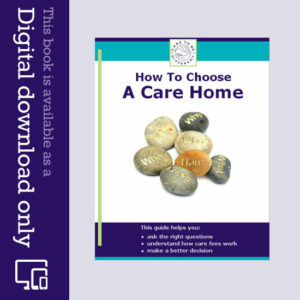 Your situation sounds like a catalogue of incompetence, cover-up and maladministration on the part of the care authorities – and of course hugely distressing for you. You may need to seek some legal advice, and if you need any contact details drop us a line using the ‘Contact us’ link below. Also, if your father/father-in-law has not actually been properly assessed for Continuing Healthcare, then that needs to be done. Your questions are echoed by many, Bewildered. I suspect different budgets are used for different battles, i.e. the cost of taking people to court may not touch the budgets of those making the illegal decisions in the first place. If anyone has more insight into that, it would be good to know more. The cost of preventing people access to care must be huge – and, as you say, it is taxpayer’s money. If this is right how can local authorities take a person to court for unpaid care home fees at the expense of their taxpayers , indeed spend more on legal fees than they can achieve on a successful,outcome. How can the NHS continually deny the rights of a person to be eligible for chc when’s they suffer the degenerative effects of Alzheimer’s disease – well managed leading to relatively stable condition in a locked nursing environment. Ten years battling for rights to no avail, leading to estate being insolvent and thousands of pounds having been paid for care that should have been free at point of need. I would dearly love to work with like minded people to force the NHS to abide by the law, would you? Please contact me regarding the same I have experienced from LA who spent thousands of pounds to drain private funds to pay for care for someone with end stage Multiple Sclerosis and mental illness.